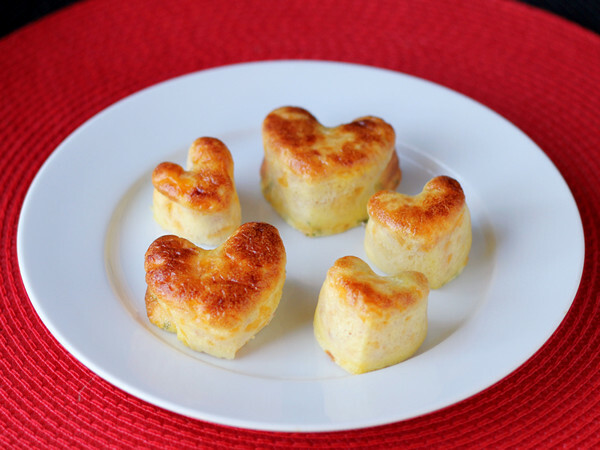 Cookistry: Little Heart-Shaped Egg Puffs - perfect for Valentine's Day! 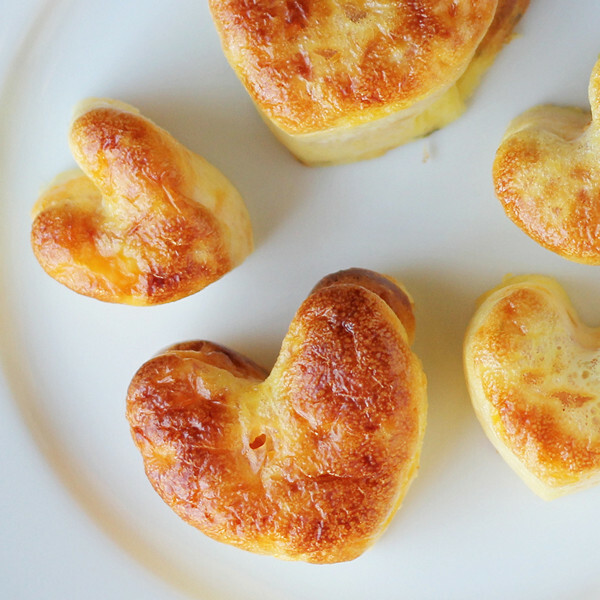 Little Heart-Shaped Egg Puffs - perfect for Valentine's Day! Valentine's Day arrived via a UPS truck in the form of kitchen gadgets. It's all heart-shaped here, folks. And totally fun. Before we continue with recipes, let me point out that, yes, I do seem to have a gadget addiction. Maybe I didn't have enough building blocks when I was a kid, or maybe I'm revolting against mom's unwillingness to buy more ingredients for the Easy Bake Oven, but I absolutely LOVE to mess around with new gadgets. Thank goodness I'm a food blogger and people send me stuff, or we'd be living in a tent in the woods. Surrounded by kitchen gear, of course. The Valentine's Day goodies came from Mastrad, maker of all sorts of fun things. The UPS box was barely room temperature before I started cooking. First up, silicone egg molds. Let's pretend it's time for breakfast on V-Day, shall we? 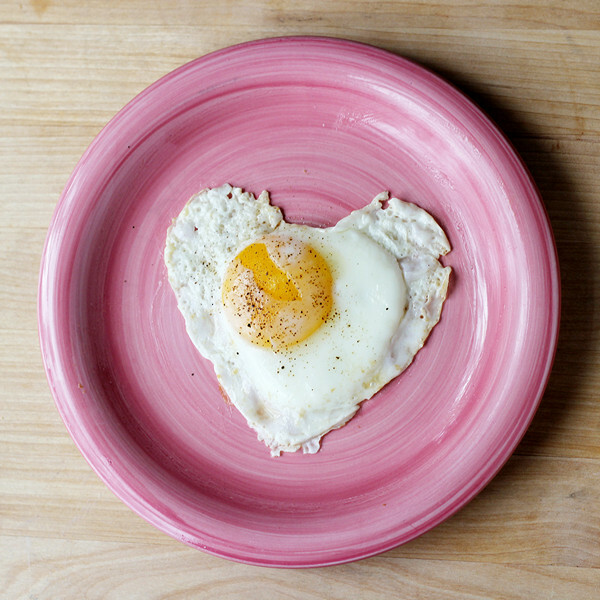 The heart-shaped egg shapers come as a pair, and the idea is that you cook your eggs inside the mold to create a heart shaped breakfast. Mmmm ... "hearty" eggs. I cooked a single egg in one of the molds, but I think the result might have been a tad nicer if I had cooked two eggs in it, since my heart was a little thin around the edges. Or, maybe if I had extra-large eggs instead of large. I made a basic sunnyside-up egg, but there's no reason you couldn't make a fried/scrambled sort of thing. Just pour the egg mixture into the mold, and off you go. For an egg that cooks more evenly on the top and bottom, I usually pour a teeny amount of water - like two tablespoons - into the pan, then cover the pan. The steam helps to cook the egg on top. You could also use these for pancakes. In any case, the heart was cute, and I could see serving these on occasions other than Valentine's Day, like on birthdays, anniversaries, or just when you're feeling a little mushy and romantic. Or just for the fun of it. I mean, why not? They're just adorable. Moving on to Valentine's lunch, Mastrad also sent me a silicone mini muffin pan that had two different sizes of heart. Awwwwww. But I wasn't in a muffin mood, and I had cake standing by, so I didn't want little cupcakes, either. But ... hmmm ... something savory. I thought about little heart-shaped quiches, but then decided on something just a little different. Not as custardy. Still rich because of the heavy cream. Go ahead and use milk if you like. These are cute little snacks, appetizers, or part of a breakfast or lunch plate. Dress them up if you like with a tiny dollop of creme fraiche, some salsa or guacamole, or even some extra cheese melted on top. Or just serve them plain. The heart shape is fancy enough. The great thing about these is that they're just as good warm, room temperature or chilled. Heat the oven to 350 degrees and have the silicone heart pan standing by. Combine all the ingredients in your blender. The cheese and ham pieces don't need to be precise, you just want them small enough so the blades of your blender can catch them. Pulse a few times, then run the blender until the ham and cheese are smaller bits.You're not looking for something completely smooth. Pour the prepared egg mixture into the silicone molds, leaving some headroom in each cup for them to expand. Bake at 350 degrees until the eggs are set and lightly browned, about 25 minutes. The Mastrad pan is sturdy enough that you don't need to put it on a baking sheet, but you can use one if you think it will be easier to handle. Also, depending on your oven racks, you might want to use a baking sheet just to keep all those hearts flat. Remove from the oven and turn out onto a plate. Serve. Eat. Yum. What else could it be - chocolate! Even better, melted chocolate. 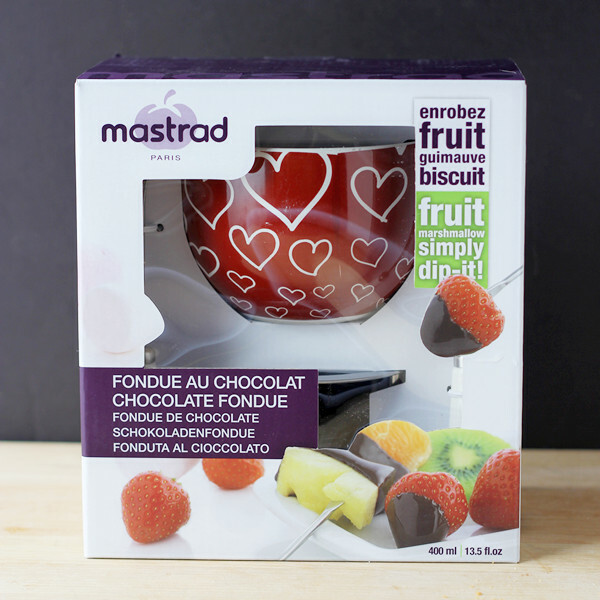 The last Valentine's Day item that Mastrad sent me was a really cute fondue set, perfect for melting chocolate and dipping berries or bits of cake or cookies, or whatever you want to dip. I didn't have time to actually set this one up and use it - I wanted to get this posted as soon as possible, just in case you wanted to try some of these yourself. But I unpacked it and ogled. The stand is sturdy and the bowl is pretty. I've used this type of fondue setup before. Once the chocolate is melted, the tea light is enough to keep it melted. And you really don't need a recipe - just melt some chocolate and go. Of course, you can add things to the chocolate, if you like. 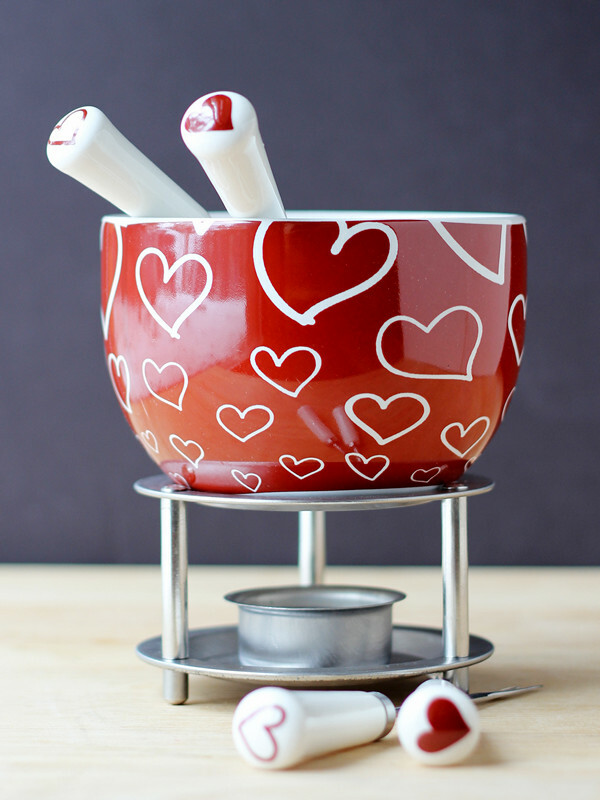 The four included fondue forks are marked with hearts - two have solid red hearts, and two red outlined hearts, so you can keep track of which forks belong to who. Of course, on Valentine's Day, that might not really matter, but it's a nice decorative touch. 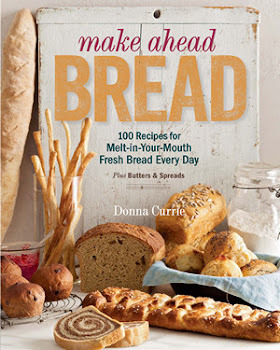 Besides helping you make a fun Valentine's Day dessert, I think this would made a cute gift, along with some good chocolate and some berries and cake for dipping. This is nice quality, and the bowl could serve other purposes when it's not being used for fondue. Happy Valentine's Day! What are you serving?